This study explores the literature on knowledge mobilization networks. 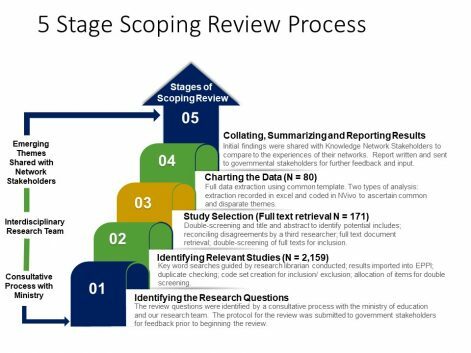 This study used a five-stage scoping review process to uncover 80 articles included in the final analysis. 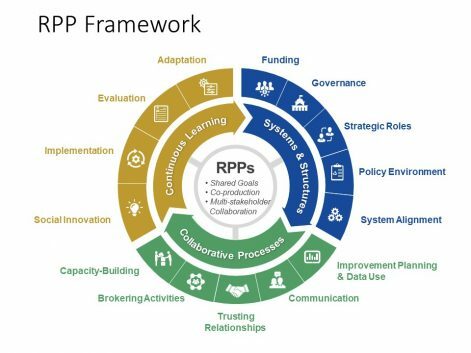 (1)	Systems and structures: funding, governance, strategic roles, policy environment, system alignment; (2)	Collaborative Processes: improvement planning and data use, communication, trusting relationships, brokering activities, capacity building; (3)	Continuous Learning: social innovation, implementation, evaluation, and adaptation. 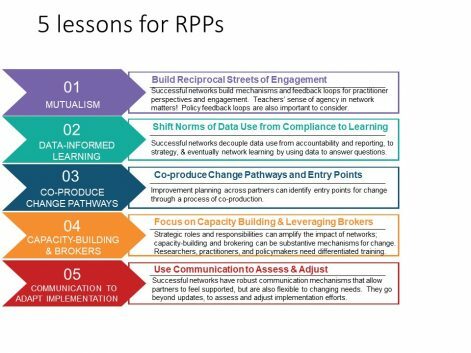 Our RPP model can be used to further study and/or build RPPs in K-12 education sectors.